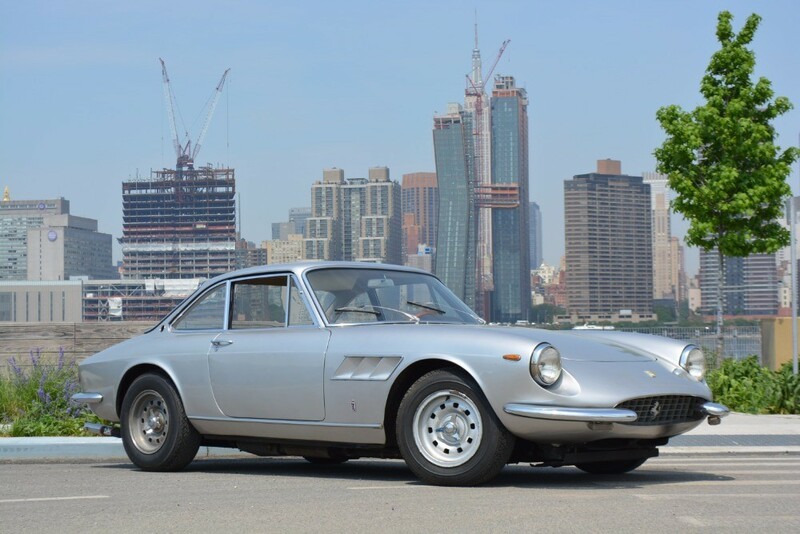 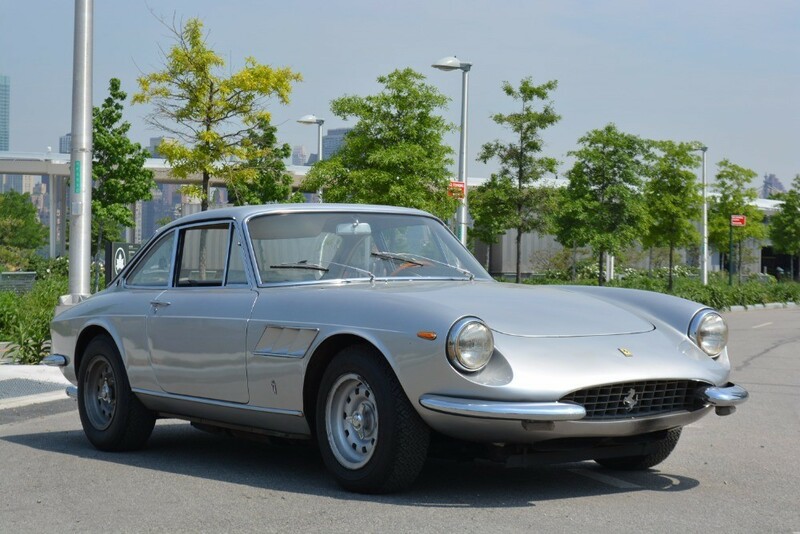 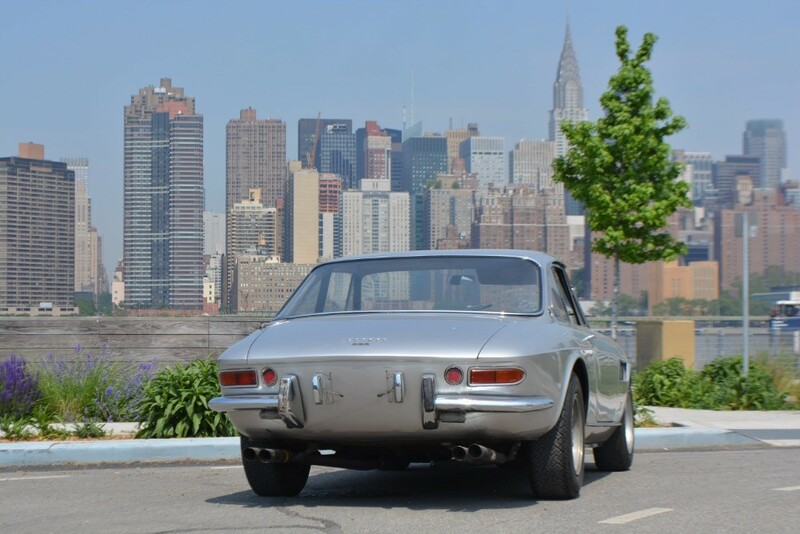 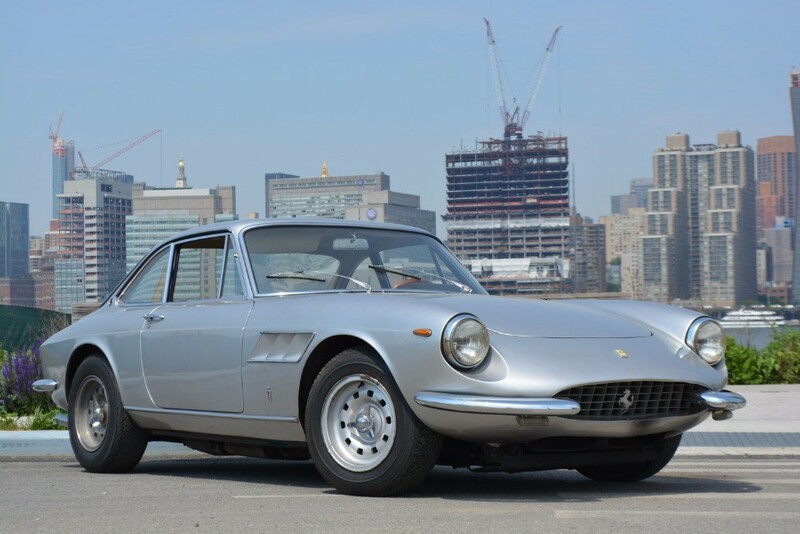 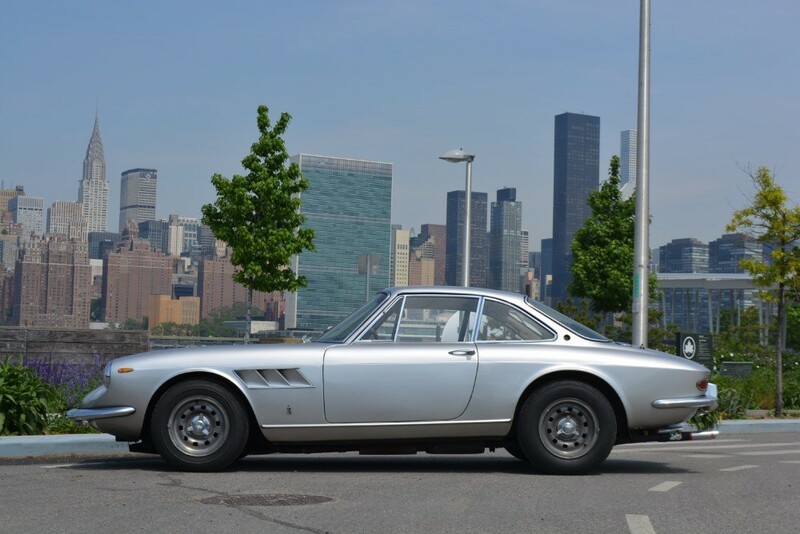 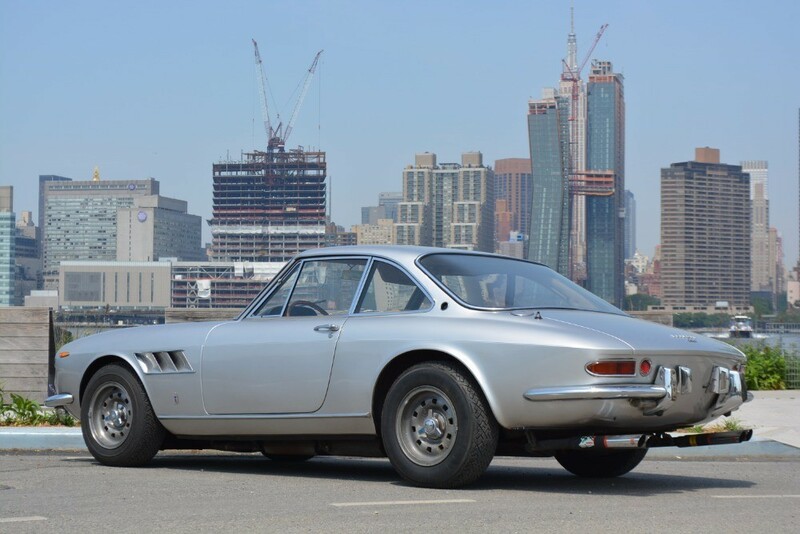 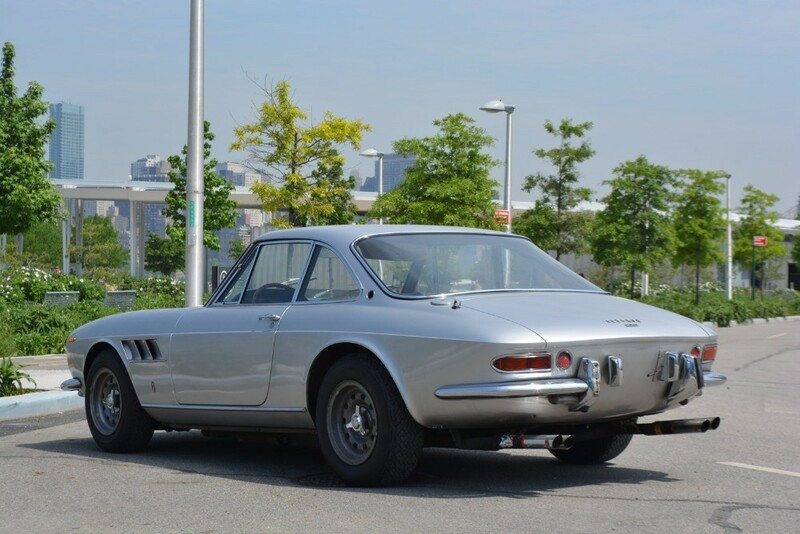 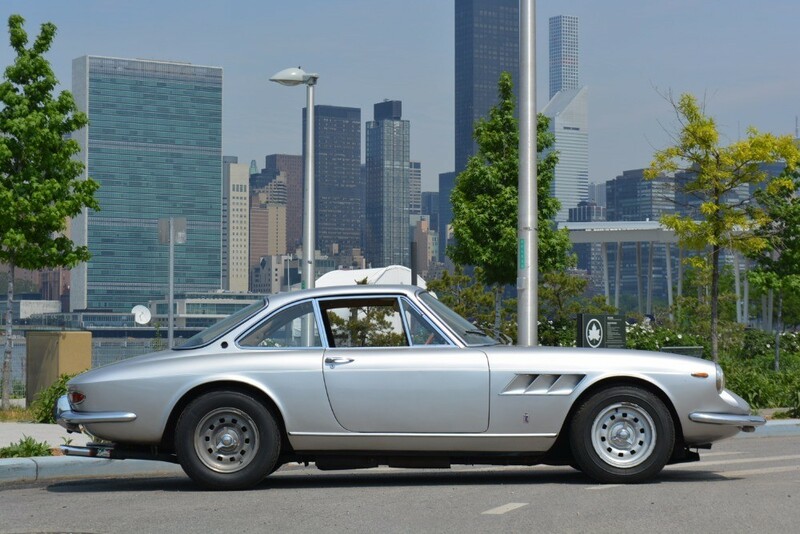 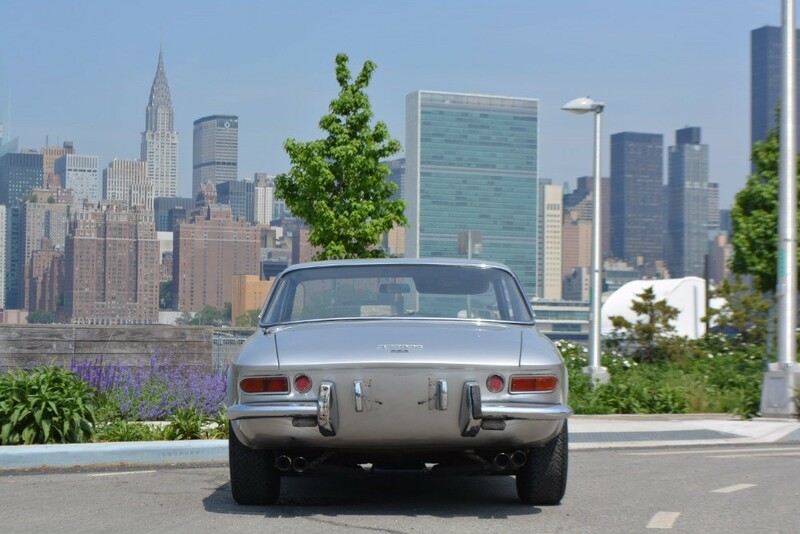 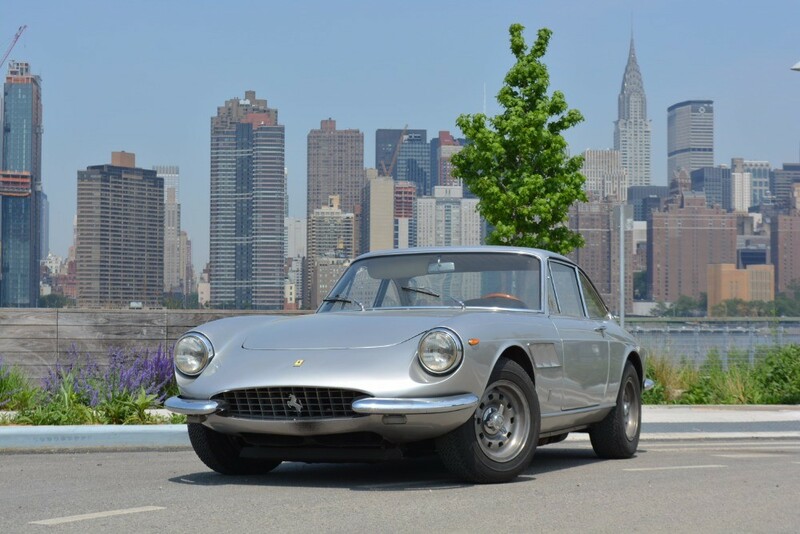 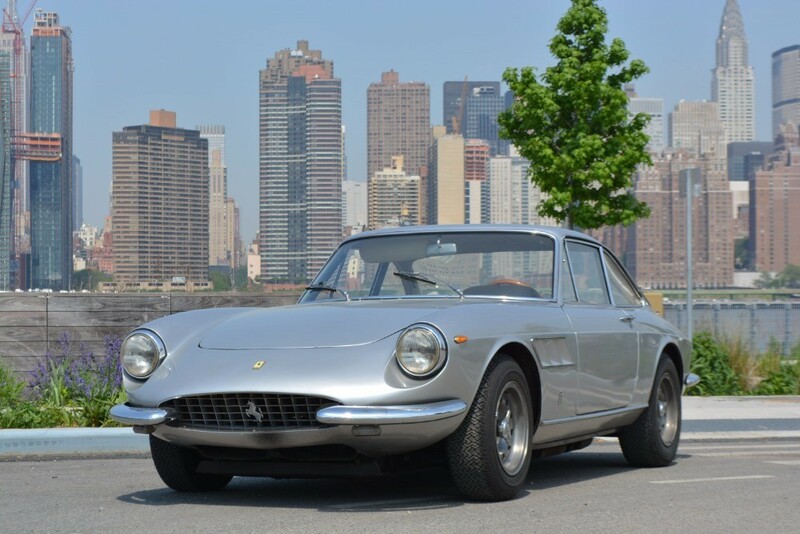 This 1967 Ferrari 330GTC is a fantastic original example. 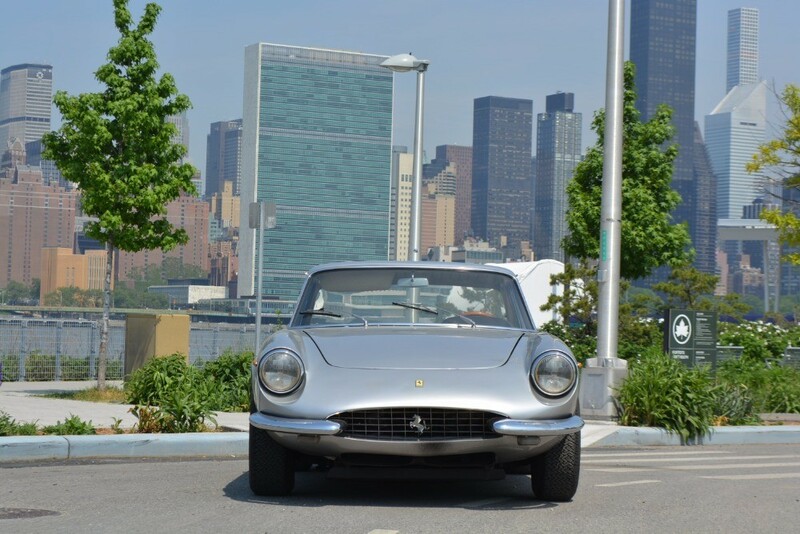 Chassis No 10445 was stored by its second owner, who purchased it in the early 1970's, for 25 years in a dry garage in Montreal, Canada. 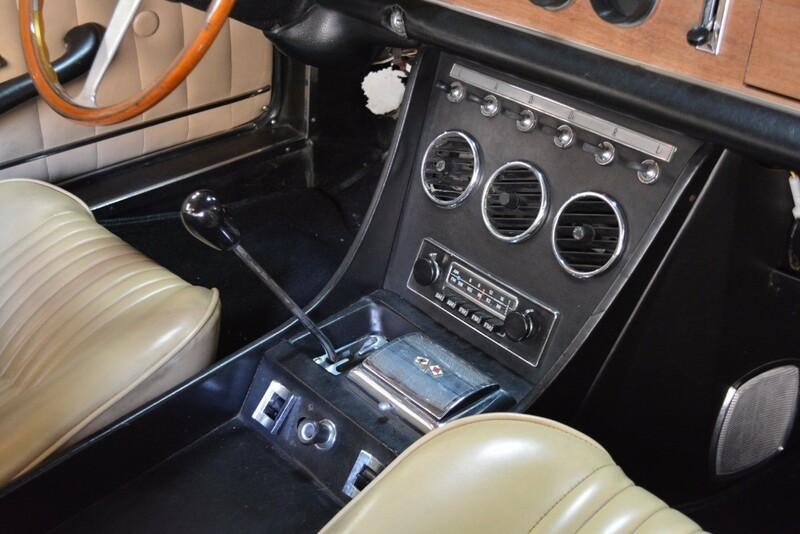 The odometer shows 7,536 km. 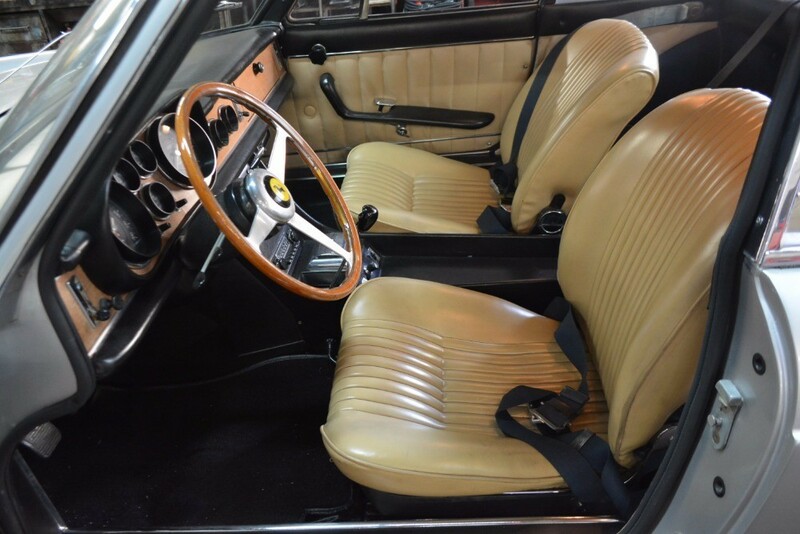 The car is very complete and solid, with no evidence of rust or rot. 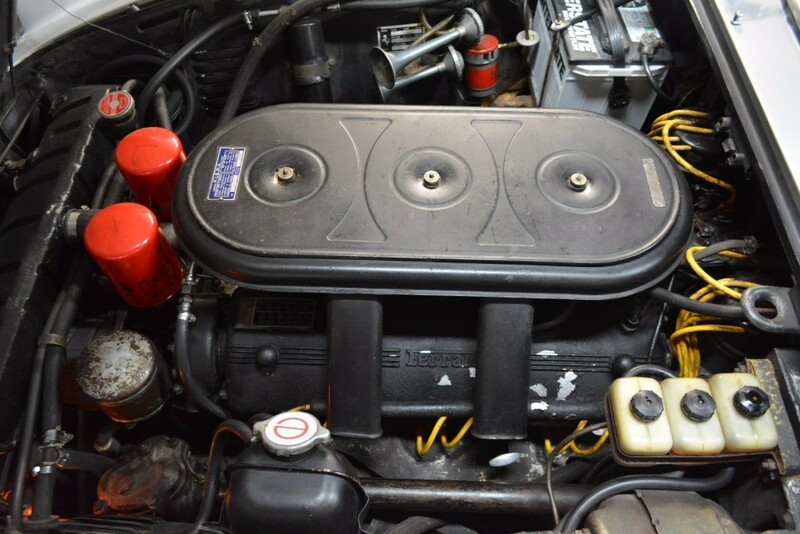 The motor starts and runs well with compression in all cylinders between 140-190 psi. 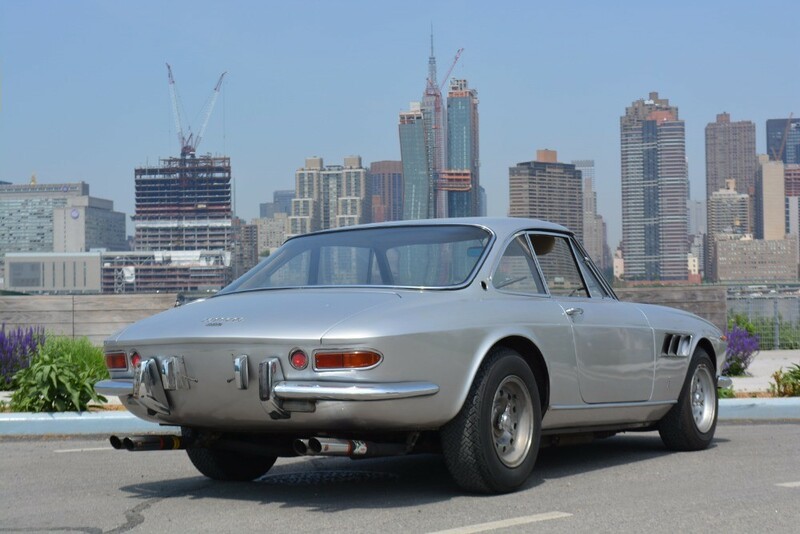 Silver exterior is believed to be the original color and was repainted around 1990. 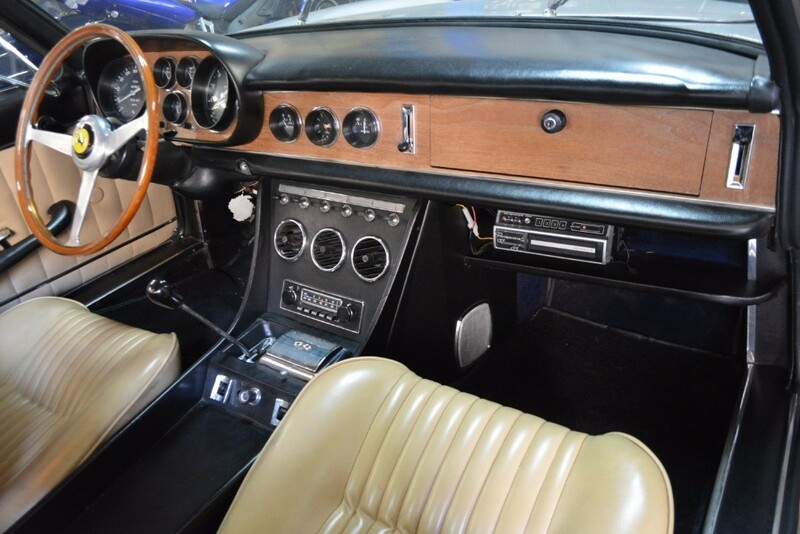 The motor in the car is stamped 10445, matching the car's serial number. 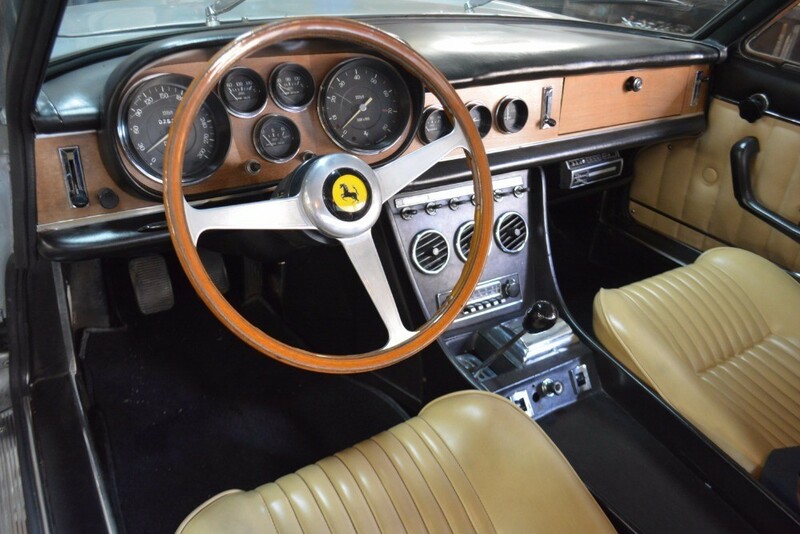 However, the numero interno of the motor is 2810, which corresponds to 330 GTC s/n 10097. 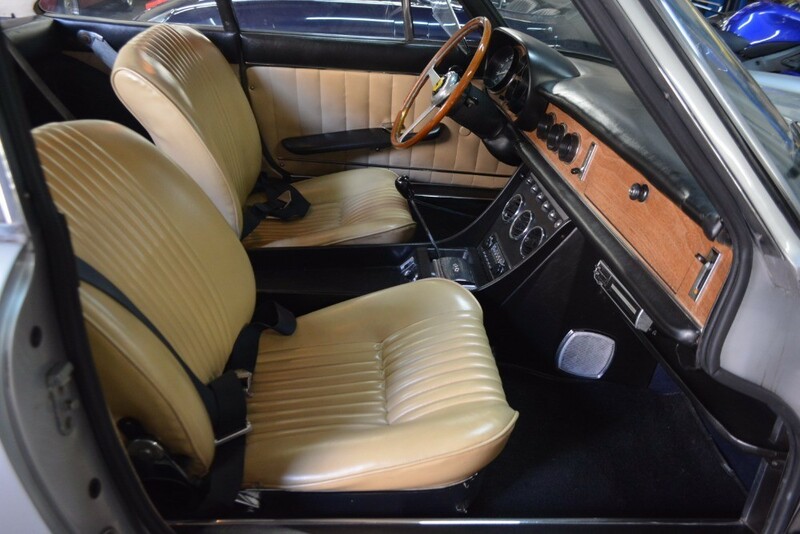 The car comes with it's spare wheel, tool roll, jack, and books.